This Teow Cheow Salted Pork Belly recipe was given by a friend, it is a secret recipe passed down for generations in the family. 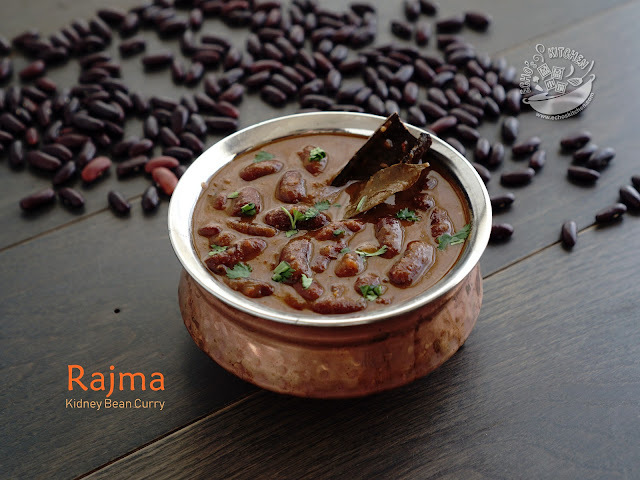 I didn't think such simple ingredients and preparation method could bring very tasty result. But oh! Am I pleased that I was so wrong! 2. 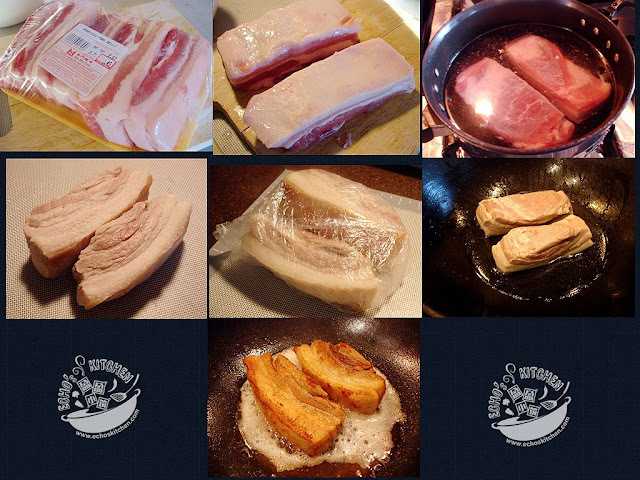 Take out the cooked pork belly and drained, dust salt evenly on the surface of the pork belly, place the pork in a zipped lock or plastic bag, marinate it overnight in the refrigerator. 3. Next day, heat up a cast iron wok, take out the marinated pork, place pork in the wok and pour in 1 cup of water, boil the pork slowly to evaporate water totally. 4. Keep turning the pork belly in different sides, slowly cook till grease releases, remember to cook it in medium low flame. 5. After around 30-35 minutes, the surface of pork belly become golden brown and crunchy. Slice it into about 1 cm thick and serve. Teow chew salted pork belly--taste of traditional!